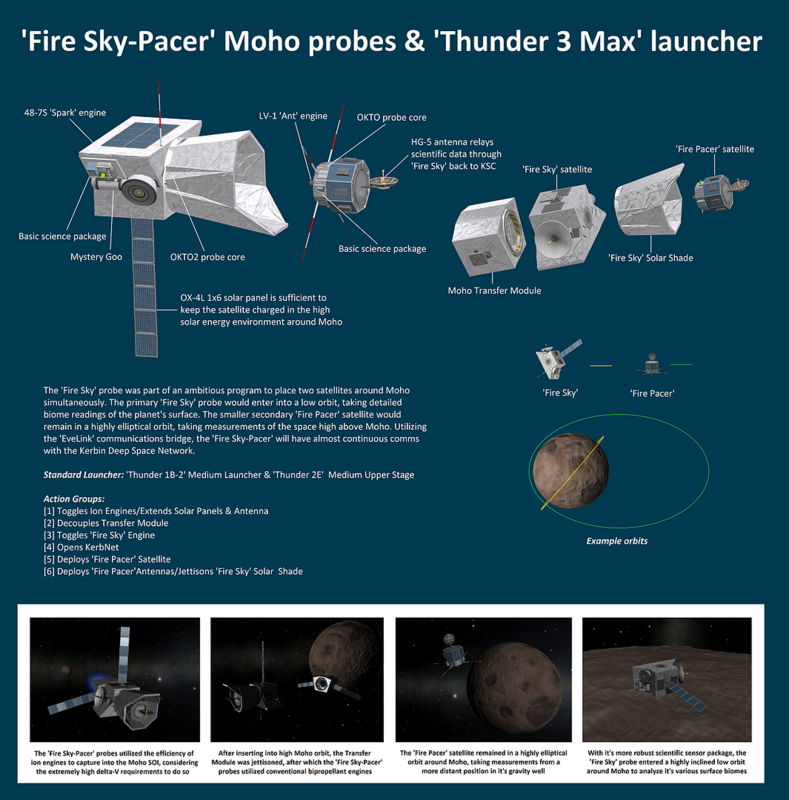 The ‘Fire Sky’ probe was part of an ambitious program to place two satellites around Moho simultaneously. The primary ‘Fire Sky’ probe would enter into a low orbit, taking detailed biome readings of the planet’s surface. The smaller secondary ‘Fire Pacer’ satellite would remain in a highly elliptical orbit, taking measurements of the space high above Moho. Utilizing the ‘EveLink’ communications bridge, the ‘Fire Sky-Pacer’ will have almost continuous comms with the Kerbin Deep Space Network.